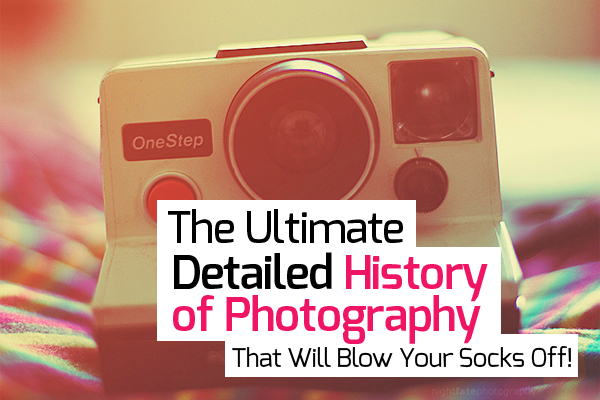 The Ultimate, Detailed History of Photography That Will Blow Your Socks Off! Although everyone understands the importance of photography in our daily lives, very few know about how this seemingly magical art form developed. The following is a detailed look into the long history of photography that has lead to the cameras we know and love today. Beginning back in China and Greece around 500 BC, ancient philosophers started the ball rolling. They began to recognize the basic principles of the camera and describe the optics used in photography. 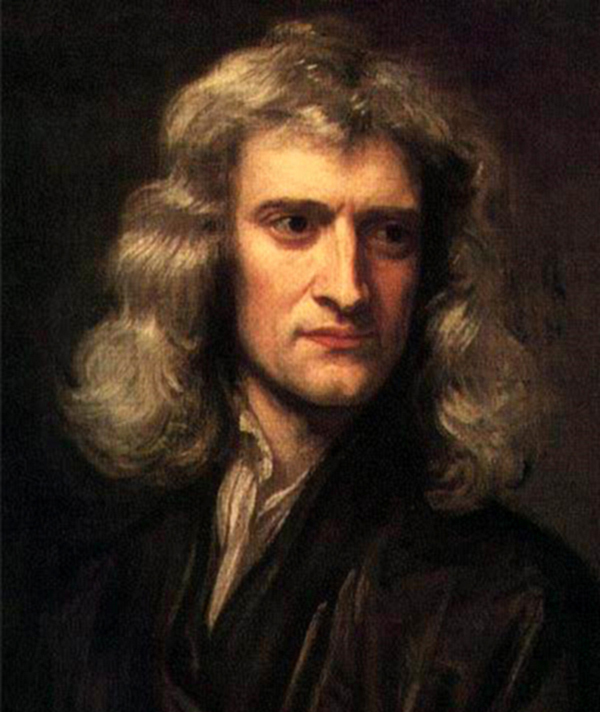 However, it was not until 1664 that Isaac Newton started to make serious strides in comprehending photograph composition. He is credited with the discovery that white light actually consists of different colors. In 1727, Johann Heinrich Schulze also realized an important fundamental; silver nitrate has the ability to become darker with light exposure. 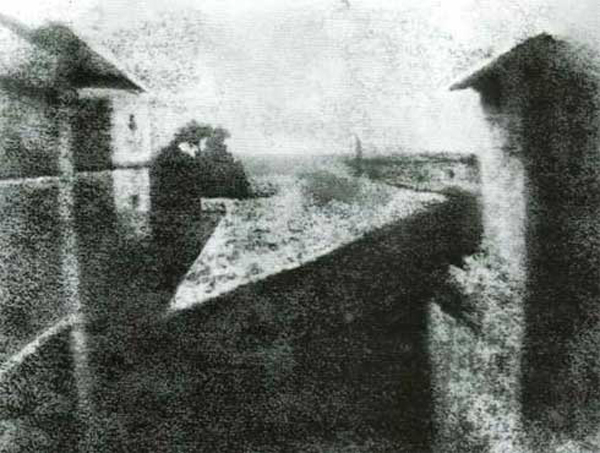 In 1826, Joseph Niepce achieves success at capturing the world’s first permanent photograph with camera obscura. Amusingly, the picture required eight full hours of light exposure, and it faded quickly after. Since this was definitely not a practical method, Daguerre devised the daguerreotype in 1837. The first successful form of permanent photography, the daguerreotype achieved a fixed image with less than thirty minutes of light exposure and it did not fade. Alexander Wolcott became the first American to receive a patent in photography in 1840 for the development of his camera. His pioneering accomplishment also included the discovery of a combination of chemicals, known as Wolcott’s mixture, that were sensitive to the action of light and reduced sitting time. Shortly after, in 1841, William Henry Talbot also received a patent for the Calotype process. It became the first negative-positive process that allowed the unique possibility of creating multiple copies. In 1851, Frederick Scott Archer streamlined photography with his invention of the Collodion process, which offered the ability to make images with only two or three seconds of exposure to light. What a remarkable improvement over the eight hours required just twenty-five years earlier! Another update was offered to photography in 1859 by Thomas Sutton. He patented the invention of the world’s first panoramic camera, which he creatively called the Sutton. Oliver Wendell Homes invented a handheld stereoscope viewer in 1861, which was much more economical than ever before. Holmes’ viewer included two prismatic lenses on a wooden stand that held the stereo card. In 1871, Richard Leach Maddox created the gelatin dry plate silver bromide process. This discovery meant that negatives no longer had to be promptly developed. In 1884, George Eastman stepped into the scene with his groundbreaking invention of flexible, paper-based photographic film. Four years later, he perfected the first Kodak camera that was especially designed for roll film. After these discoveries, he established the first company to mass-produce photography equipment, the Eastman Kodak Company in 1892. 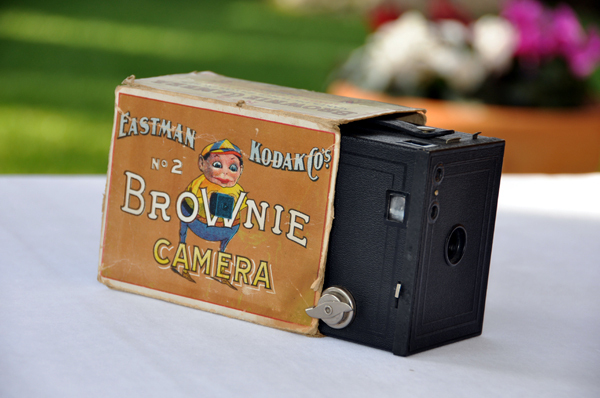 The first mass-marketed camera was developed in the year 1900 by the Eastman Kodak company. The Brownie was a popular low-cost camera and is credited with introducing the concept of a snapshot photograph. The company’s later manufacturing developments of flexible transparent film also provided an essential precursor to the development of motion pictures. In 1927, General Electric invented the first commercial flash bulb in the United States that used flash powder in an evacuated light bulb, which was fired by a lamp filament. Before this invention, flash photography depended solely on burning powder with magnesium. A few years later in 1932, the first light meter with a photoelectric cell was introduced into the market too. Back at it again, Eastman Kodak Company set to work marketing Kodachrome film in 1935. This was one of the primary successful color materials that could be used for both still photography, as well as cinematography. In 1941, the trend-setting company also introduced the Kodacolor negative film for still photography. It became the first color negative film that could create paper prints, and was marketed to the public with the price of processing the film included. 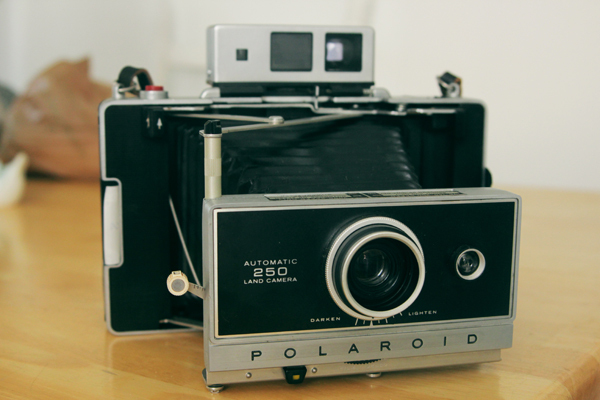 American scientist Edwin Land invented the first commercial Polaroid camera in 1948. The camera was the result of an innovative new revolution called instant photography. With the invention, he was able to found the popular Polaroid Corporation and begin selling the cameras to the public by November of that same year. Later on, in 1963, Polaroid is credited with introducing the first instant color film. It contained the reagent pod, negative, and receiving positive right on the film for developing the pictures in an instant. In 1968, photography was literally taken to new heights as the first photograph was taken on the moon of the Earth. 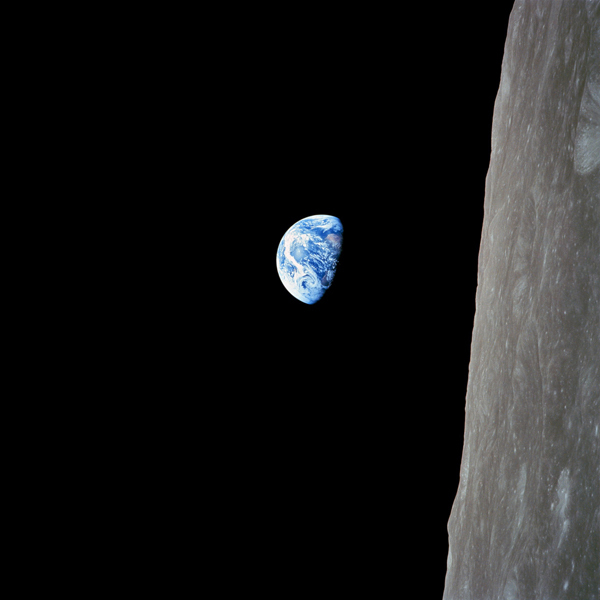 The photograph, referred to as Earthrise, was taken during the Apollo 8 mission by William Anders. Some experts declare this as being the most significant environmental photograph that has ever been taken. 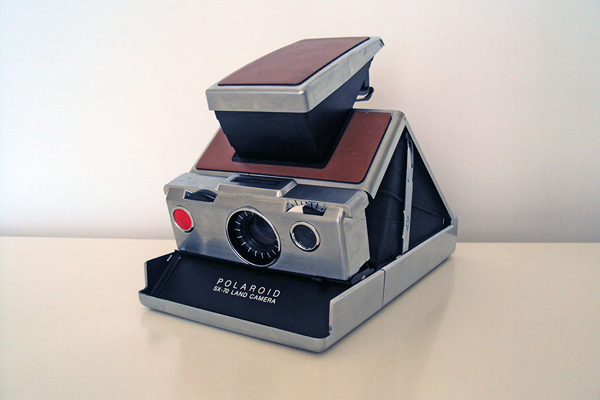 Polaroid Corporation introduced the newest SX-70 camera in 1973, which was the first invention of a one-step instant photography process. Keeping up with the increasing heated competition in the photography market, Konica created the first point-and-shoot autofocus camera in 1978. The camera was met with an astounding amount of success, as approximately one million models were sold by the company. In Canada, the University of Calgary ASI Science Team built the Fairchild All-Sky Camera in 1981 in order to capture the beauty of the auroras. The camera was the first truly digital camera that successfully worked by recording digital data instead of analogue. In 1988, the new digital revolution was kept moving by Fuji when they marketed the DS-1P. It was the world’s first digital camera sold for public consumption. In 1990, Kodak made the announcement of their latest innovation called the Photo CD. This allowed the first way to store digital images onto a compact disc for easy organization, enhancement, and sharing. Another storage medium emerged in 1997 by Sony. The company marketed the MVC-FD5 and MVC-FD7, which were both the first digital cameras that could store pictures onto a floppy disc. As the turn of the century approached, Nikon released a creative new model of digital camera that had interchangeable lenses in 1999. This latest technology provided users with greater opportunity to capture wider images and increase the optical qualities. In 2002, Canon created the Contax N Digital, the first camera to have a CCD sensor. The sensor was the size of a full 35 mm frame, thus being also the first full-frame camera available from Canon. Since digital photography began taking over the world in its popularity, Polaroid announced in 2008 that they would discontinue selling all instant film-roll products to consumers. The following year Canon began marketing the EOS 7Dirst APS-C. This 18MP camera demonstrated the powerful capabilities of the digital era with the first dual image processors. 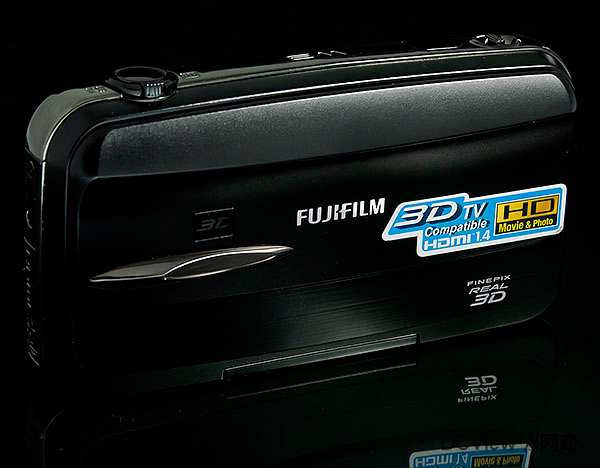 In 2010, Fujifilm captured the world’s attention with the Real 3D W3, which was the first digital camera in the world that is able to shoot three-dimensional photographs. With all of these astounding technological accomplishments, what new heights will photography be taken to next? About the Authors: Parker Hansen is an amateur designer and photography enthusiast. He enjoys messing around with, and editing pictures in, Photoshop in his spare time.